Canyoning around Anduze, Saint Jean du Gard or Le Vigan. Numerous courses for a half-day or a day trip, adapted to beginners, kids, adults or sportmen. Jumps, abseils, slides. Fun and refreshing! From Gorges de l'Ardèche to Pic Saint loup as well as Cévennes, possibilities are endless. Via Ferrata or Rock Climbing along courses adapted to introduction or improvement. From discovering to expertise, an immersion in the activity through epic courses. Multipitches climbing in Cévennes, Canyoning in the Alps, Pyrenees or other places in Europe. Between Cévennes and Garrigue, from Pic Saint Loup to Mont Aigoual as well as Gorges de l'Ardèche and Lozère. The region offers many wild places to discover. Along a limestone rock face or a granitic gorge, there are numerous ways to explore the diversity of this preserved environment. Sharing a challenging and naturalist time, with friends or family. My expertise enables me to be your guide for a day or half a day trip around Anduze or Le Vigan but also for tours and training courses somewhere else in southern France and Europe. 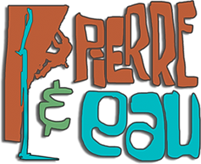 Pierre & Eau: Rock Climbing, Canyoning and Via Ferrata between Garrigue and Cévennes, from Pic Saint Loup to Mont Aigoual. Your English-speaking local guide, Pierre, certified rock climbing and canyoning guide. After traveling around the world, I came back to my home region to share my passion for adventure and knowledge of local nature. Departures from Anduze, Sauve, Saint Jean du Gard or Le Vigan. Equipment rental and insurance included. Activities are mostly open to everyone but some more tough courses are also possible, especially during one of these training courses.